Yayasan Cinta Anak Bangsa (YCAB) was honoured to welcome guests from Global Microsoft Philanthropy to visit one of YCAB Rumah Belajar, located in Duri Kepa. This visit was attended by Ms. Yvonne Thomas-Director, Global Programs Microsoft Philanthropies, Mr. Leonardo Ortiz Villacorta-Director, Global Field Empowerment Microsoft Philanthropies, Ms. Dr. Daiana Beitler-Philanthropies Lead, Asia Pacific Microsoft Philanthropies, and Ms. Nabila Hussain-Manager, Legal Government Affairs and Philanthropies Microsoft Malaysia, Indonesia, Brunei. As a company that shares a concern for education and empowerment, YCAB was chosen as Microsoft’s digital skill partner since 2010. Various forms of Microsoft support includes software donation (Microsoft Office), Office 365, Microsoft Windows Azure to coding training for children aged 12- 20 years are the tangible manifestation of Microsoft’s concern for digital literacy. 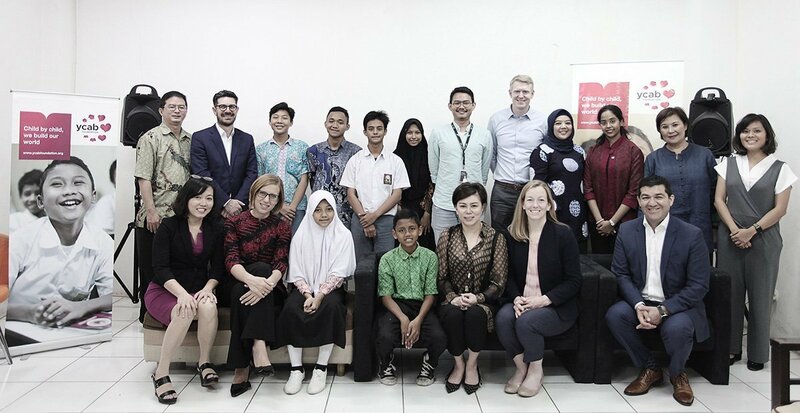 With the support of Microsoft, YCAB has computer labs in 31 Rumah Belajar (YCAB school) throughout Indonesia with 30,000 youth graduating from digital literacy class. This short visit was a special visit where Microsoft wanted to see the immediate impact & outcomes of the beneficiaries who felt support from Microsoft. The program opened with a warm welcome from Mrs. Veronica Colondam (CEO and founder of YCAB), followed by a Q&A session from Microsoft representatives to the children of the Rumah Belajar. Most of the students who attended shared what they had learnt in the computer labs and how they used it to help them with their assignments. They also shared their ambitions such as wanting to be programmers. Another guest was an alumni of the Rumah Belajar who is now working at one of Indonesia’s unicorn companies and he shared that the computer lab was very useful for his work now in the customer care department. Looking through the Duri Kepa Rumah Belajar visiting the various classes and vocational training centres as Rumah Cantik (hairdressing vocational training), computer labs, English lab and Rumah Jahit (sewing vocational training) thus completed the visit.